Home / house / Customer Idea Sharing…you all are so smart and creative! Customer Idea Sharing…you all are so smart and creative! We just had to share this along! Julie M, a wonderful and dear customer, posted this image on Facebook and shared it with us, and we thought we would share it with you! She loves our signature scent Eclipse, and has bought many of them over the years! 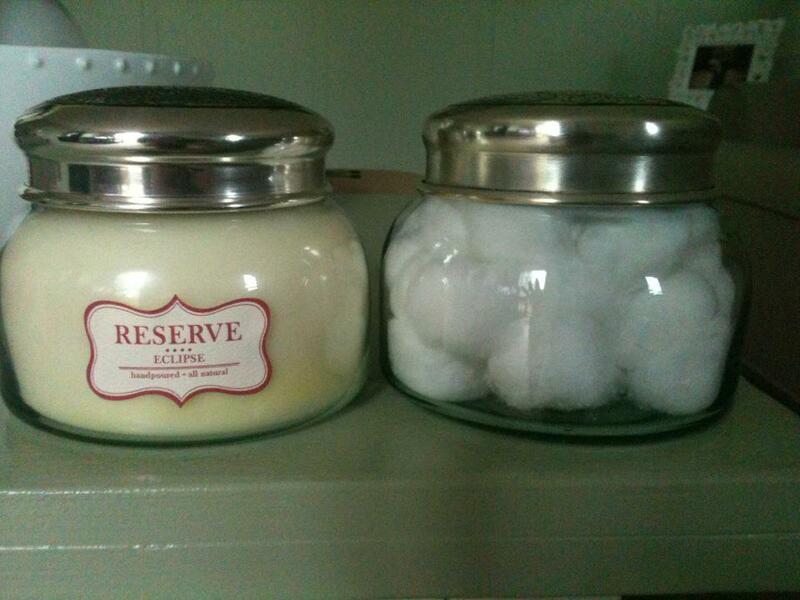 Well instead of throwing that beautiful lidded jar away, she turned it into a cotton ball holder for her bathroom! She says it was quite simple! After the candle burned down all of the way, she put the glass jar in the freezer, and was then able to pull out the small remaining amount of wax inside! A little soapy water cleaned the inside, as well as helped take off the label! What a great idea Julie! Thanks for sharing!